(HealthDay)—The U.S. Food and Drug Administration is getting serious about added sugars. Sugars added to processed foods aren't physiologically different from the naturally occurring sugars in fruit for instance. But unlike fruit—and other nutrient-rich foods—sugary processed foods often lead to overeating. For example, most people don't overdo berries, but do overdo sugar-sweetened drinks, cookies and other desserts. In fact, about half our added sugar intake is from sweetened beverages like soda, energy-, sports- and juice drinks. Four grams of sugar roughly equals 1 teaspoon. So just divide the sugar grams in a food portion by 4 to estimate the number of teaspoons it has, then keep a running total each day. And remember that just one can of soda with 40 grams of sugar equals 10 teaspoons—more than a day's worth. 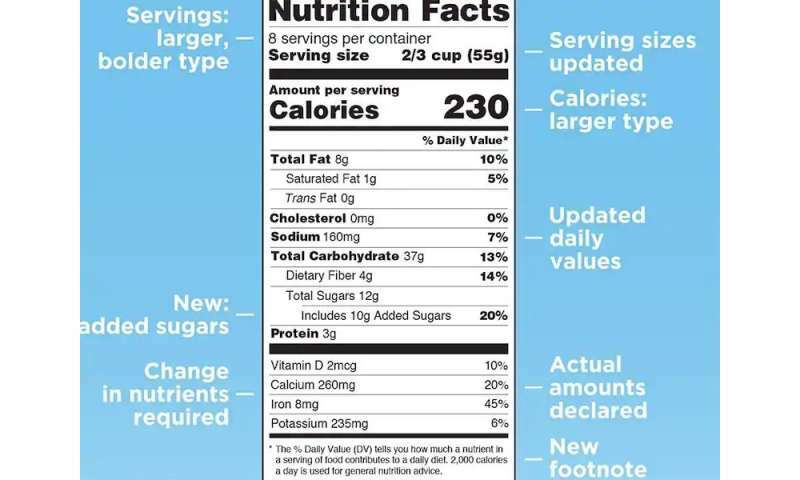 More information: The University of California, San Francisco program SugarScience has a list of all ingredient names for sugar to increase your label-reading savvy.